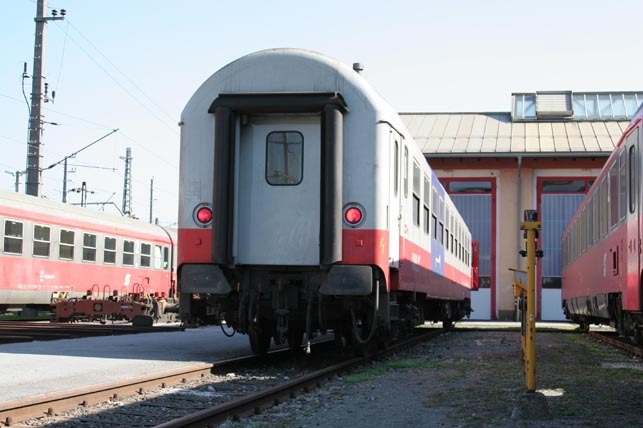 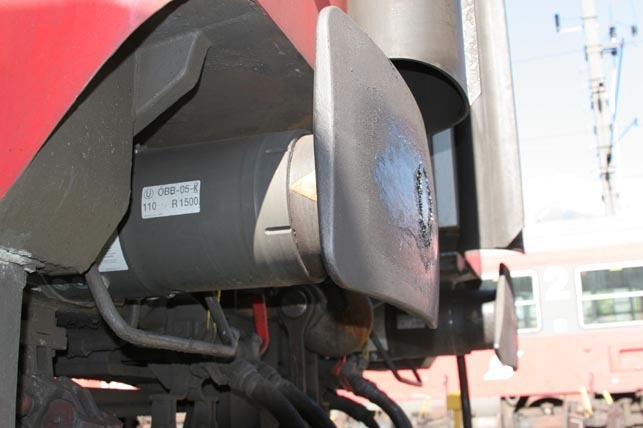 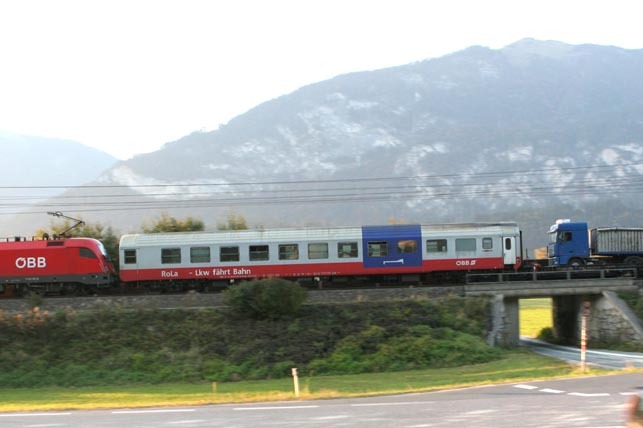 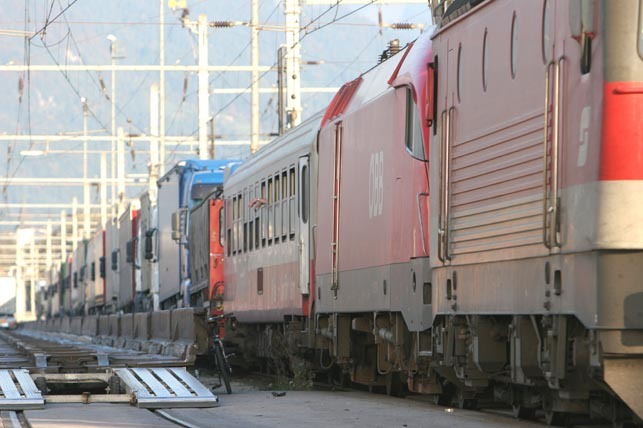 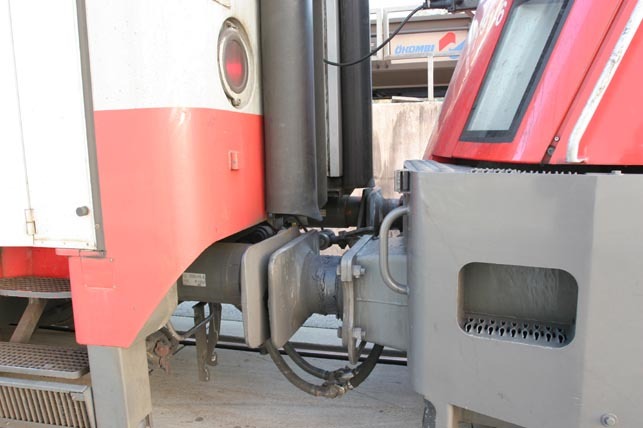 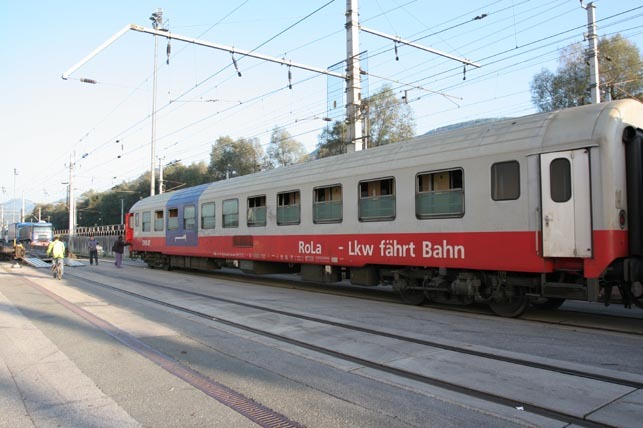 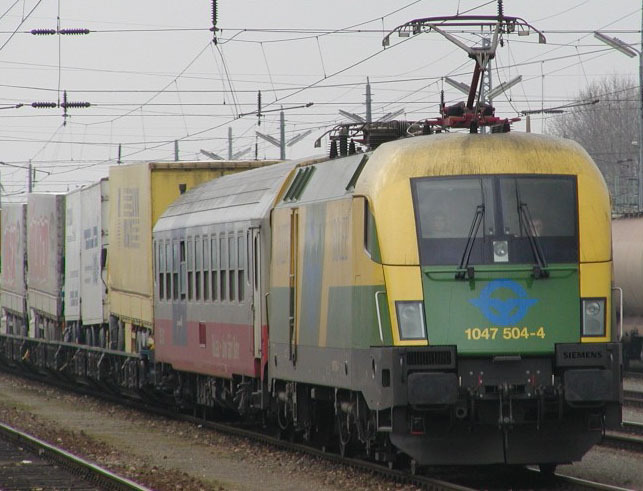 ÖBB RoLa trainsets have been converted with EST Crash Buffers R1-200 S in 2005. 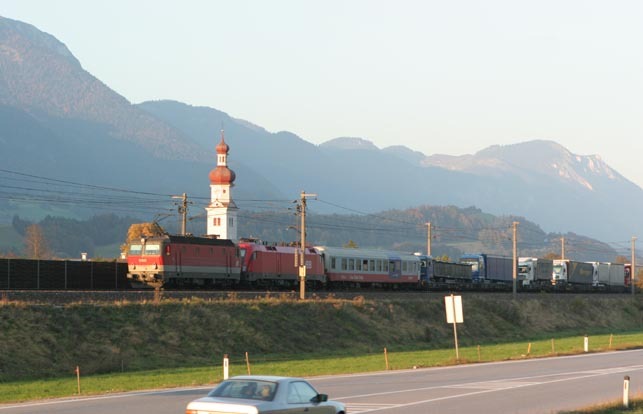 RoLa logistics terminal in Wörgl, Tyrol, on 12.10.2005. 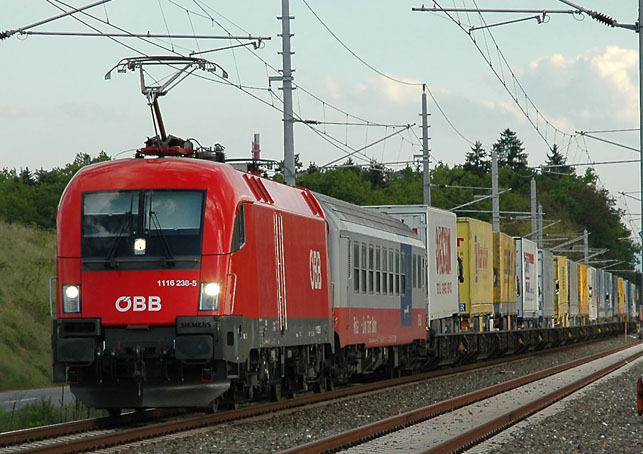 (Photo: Hanspeter Reschinger, added 13.05.2005). 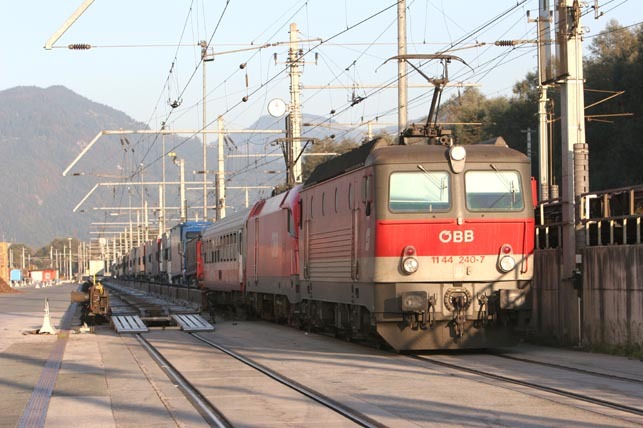 (Photo: das digitale eisenbahn fotoarchiv, Christian Beckers, added 20.04.2005).